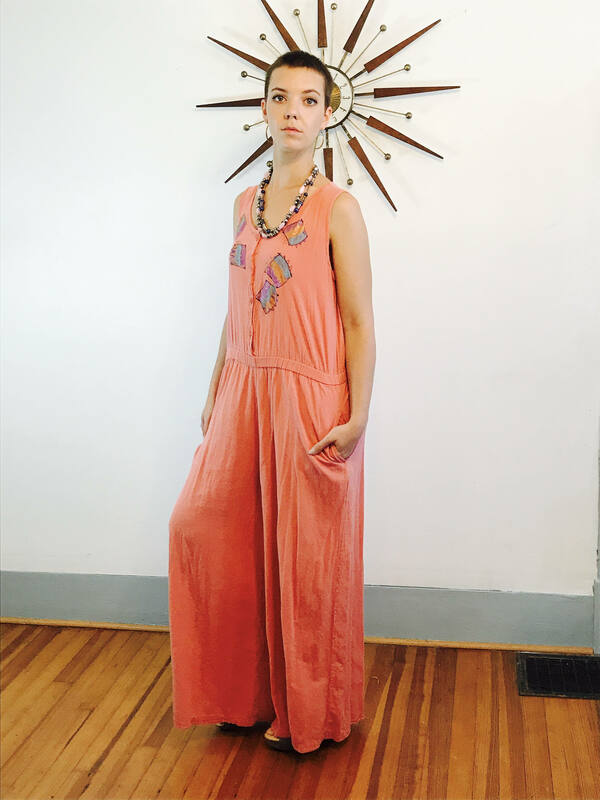 This Boxy orange romper is so cool! 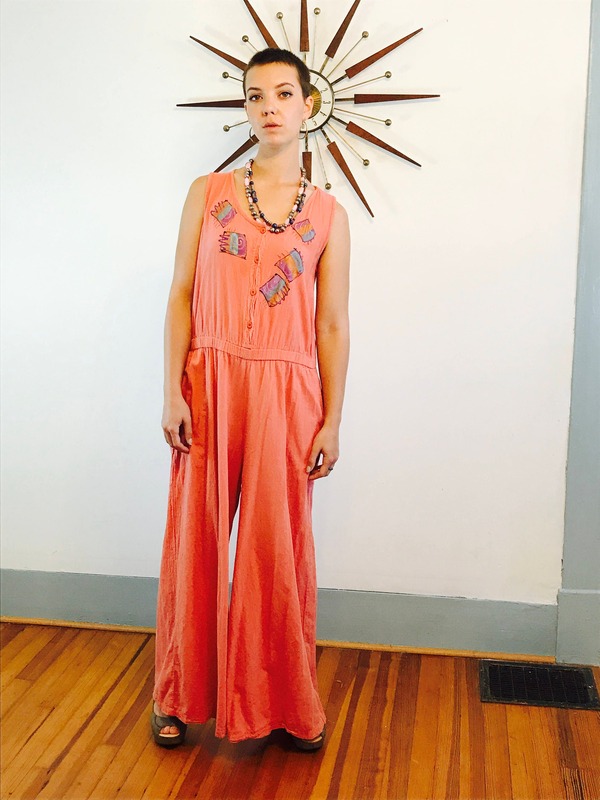 This is a vintage 90s Onepiece by "Renata B Cotton Creations"! 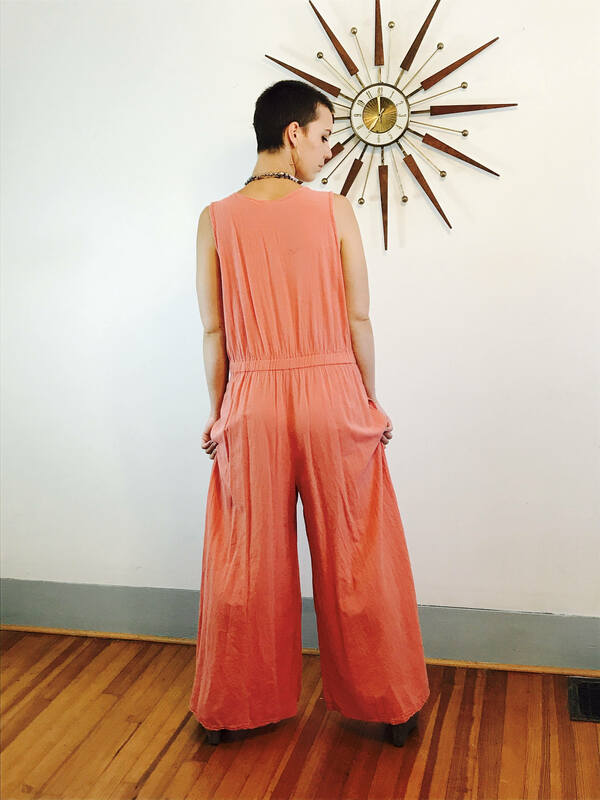 This super long baggy jumpsuit is oversized with wide leg pants and a drop crotch! 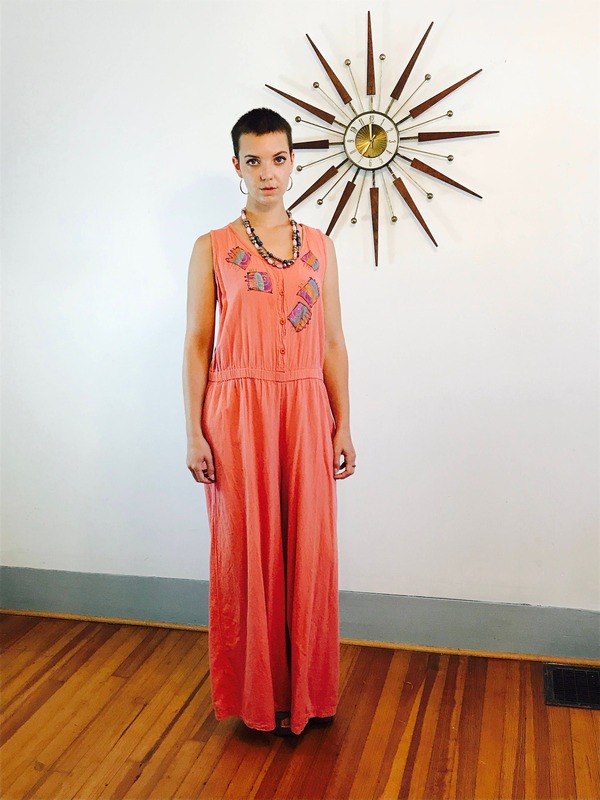 This super original peach romper is so Boxy and Baggy! 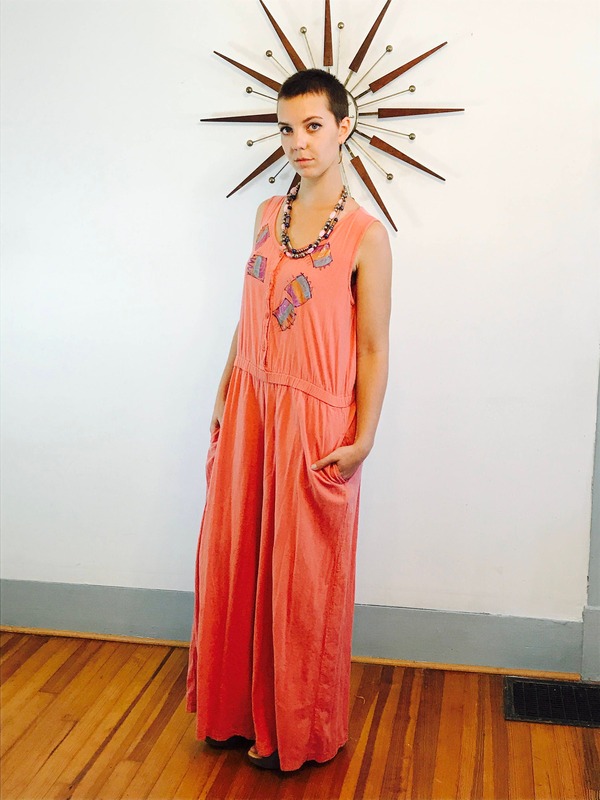 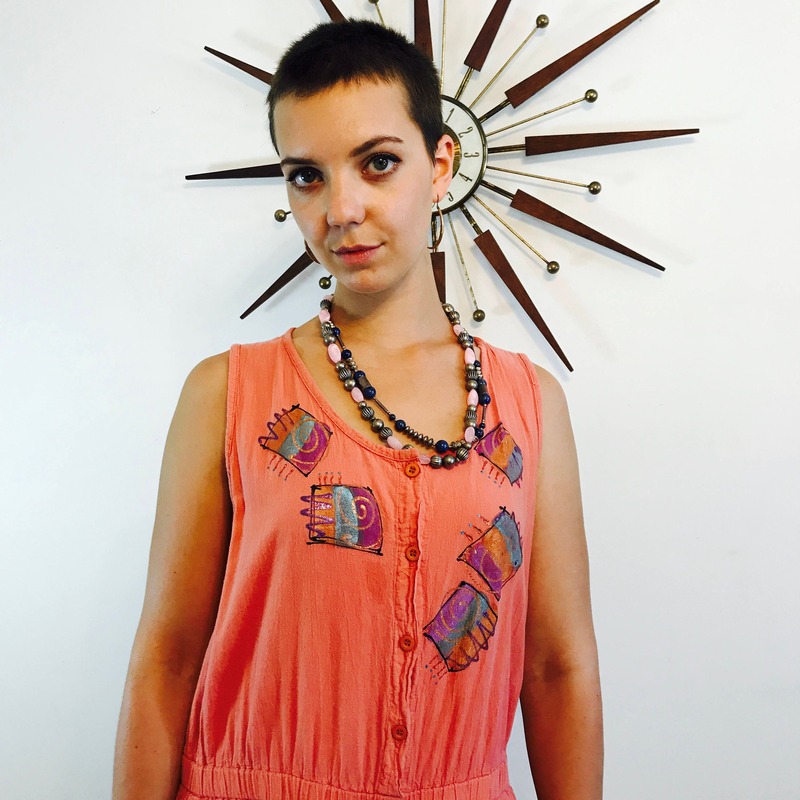 This super oversized romper has hand painted geometric designs on the front! 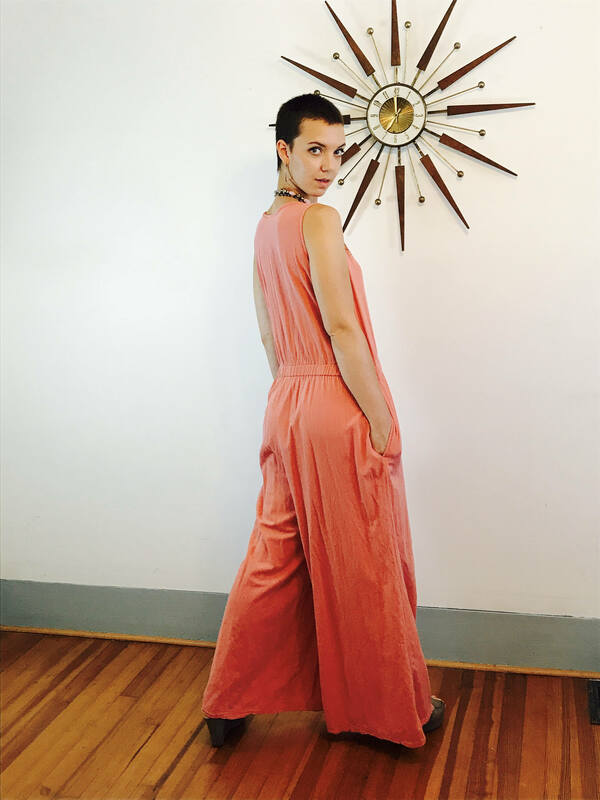 The color is perfect for 2018 Pantone trend color "Blooming Dahlia"! 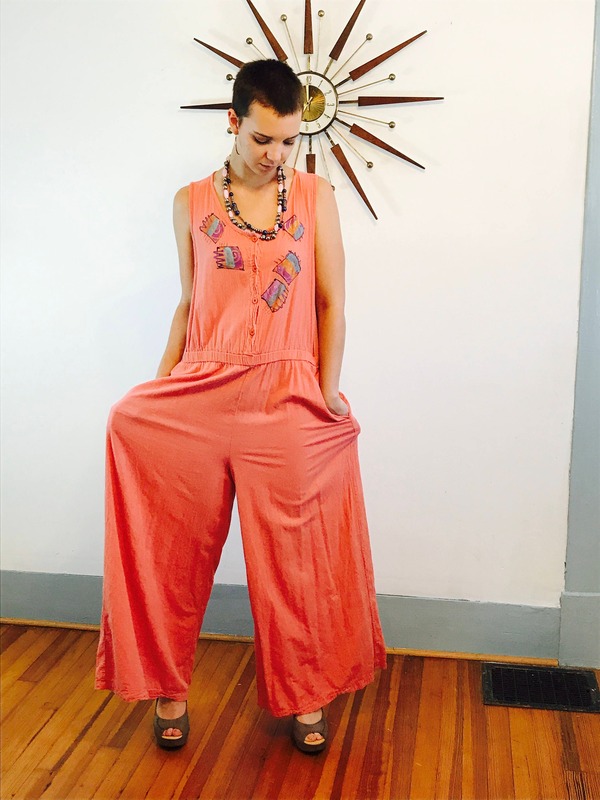 This unique romper can fit a variety of sizes! 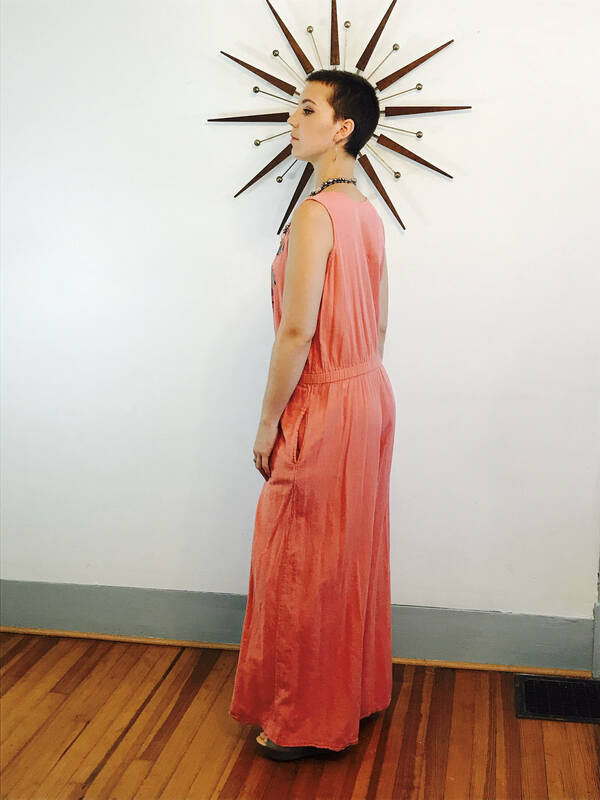 Model's Measurements: bust: 34" waist: 28" hips: 41" height: 5'9"
CONDITION: Very good! 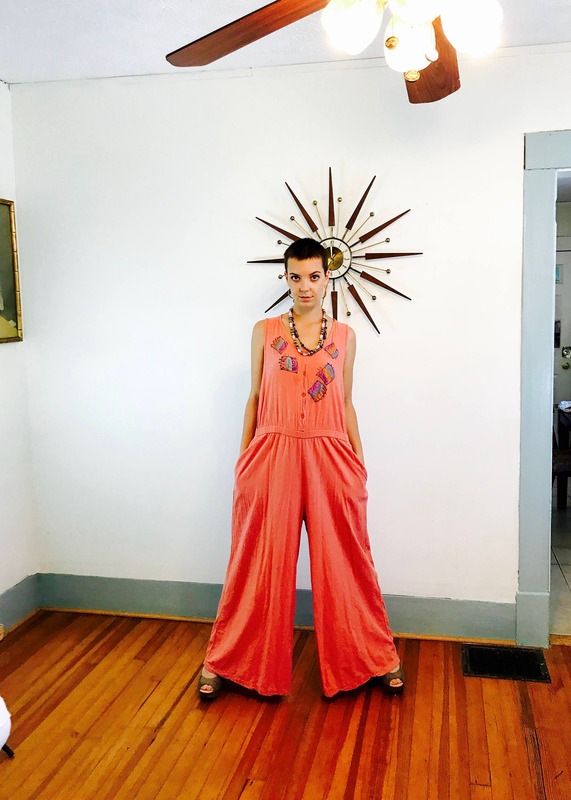 A few slight stains found.